The ultimate celebration of your passion. your bike into a work of art. DOMUS has a modular structure. 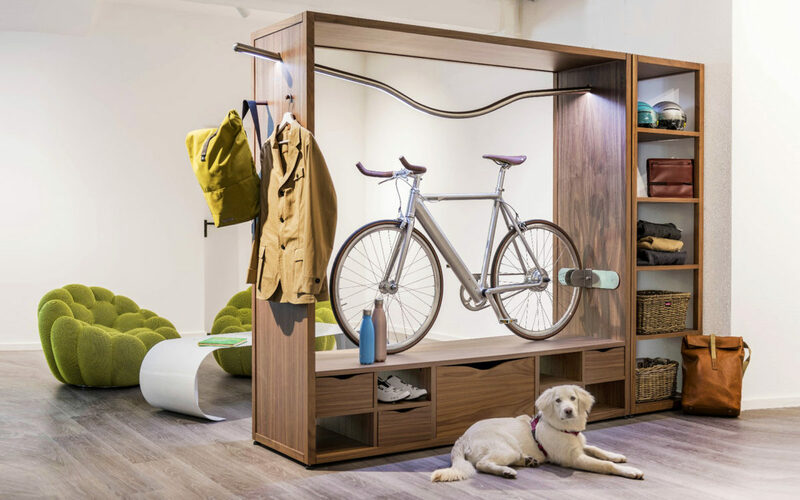 In the lower compartments, equipped with one spacious oakwood drawer, you can organize everything you need to go cycling, whether it is an urban ride or an Mtb trip. And if you need more storage space, you can add one or two big drawers, or several partitions and small drawers(the pictures of the last two items are not online yet, if you are interested please contact us).